Hello, Randall de Sève! 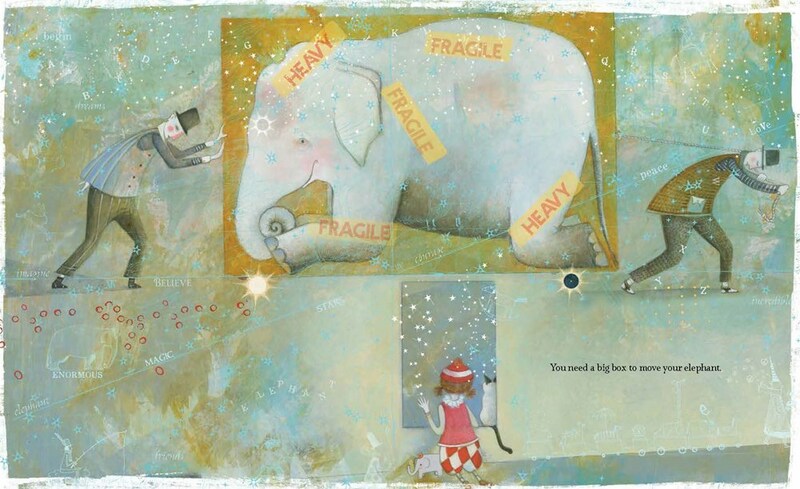 Thank you so much for celebrating Zola’s Elephant with me. 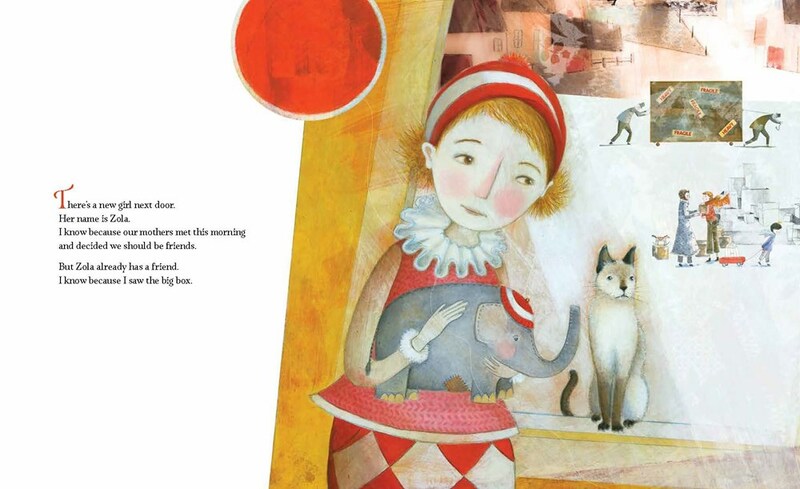 It is a BEAUTIFUL picture book that I’ve pored over many times. Make sure you return to Watch Connect. Read. tomorrow to see just how much Colby Sharp and I love your beautiful book. Randall de Sève: Thank you, Mr. Schu! I wrote the words in purple, and Randall wrote the words in black. Thank you, Randall! Zola’s Elephant tells the story of a shy and imaginative little girl who concocts an outrageous tale to avoid initiating a friendship. We all do this sometimes, don’t we? Make up stories about people, rather than really getting to know them… Or is that just me? Pamela Zagarenski’s illustrations slay me. Not only does she brilliantly illuminate the text of Zola’s Elephant but she suggest so many other stories with her cast of whimsical characters, some familiar to her work, others born on these pages. What’s the balloon man’s tale? Whose rocking horse is that? And why is it on every page? Thanks, Pamela, for this treasure trove of new ideas! School libraries are essential. Every child deserves the chance to enter a room full of books, to choose one for whatever reason, scan its pages to give it a try and take it home to live in for a time. What freedom! Story is finding meaning, perhaps pattern, in thoughts and images that may seem random at first. That’s what writing story is to me. Reading story is a chance to visit a new world and hopefully reflect and grow from the experience. For this reason, I like to curl up with narratives that are unfamiliar—or at least not mirrors of my day-to-day. Mr. Schu, you should have asked me if I’ve ever taken a bath with an elephant. But you didn’t. So now you’ll have to guess. 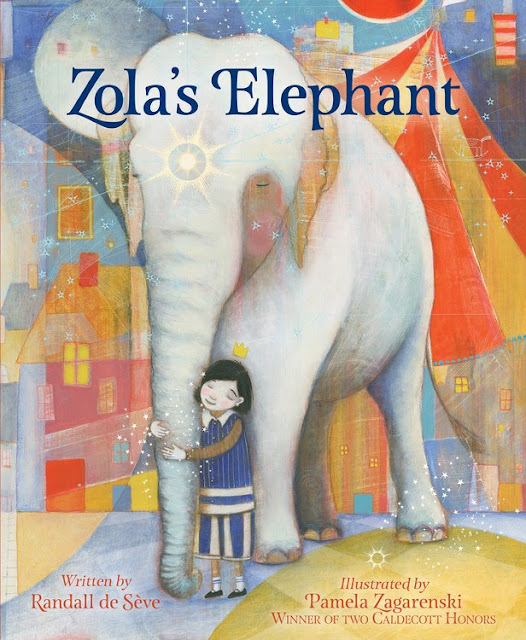 Borrow Zola's Elephant from your school or public library. Whenever possible, please support independent bookshops.